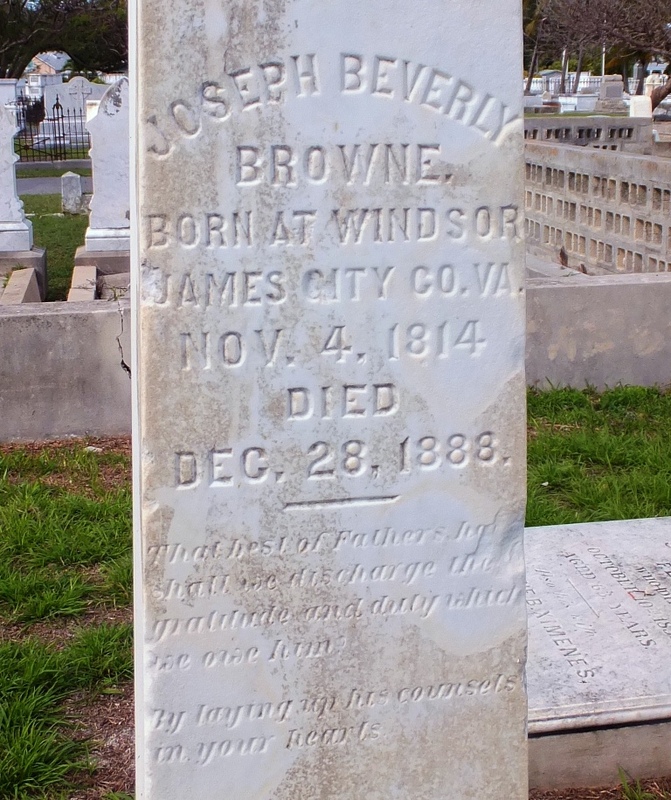 In 1847 city officials purchased a 100-lot tract of land in the center of town for $400 and a new cemetery was dedicated. Over the years additional adjacent parcels were acquired. 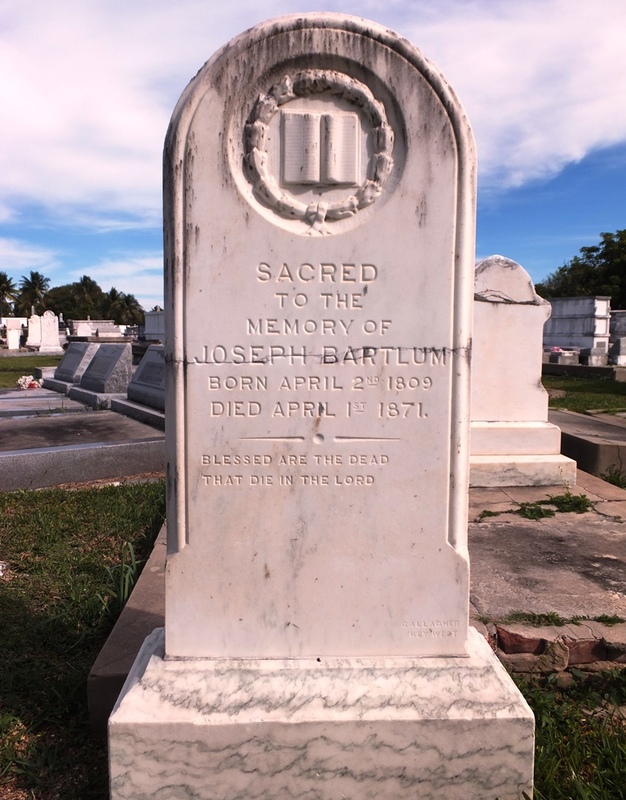 In 1868 a Catholic section was added followed by a Jewish burial ground within the boundaries of the existing cemetery. 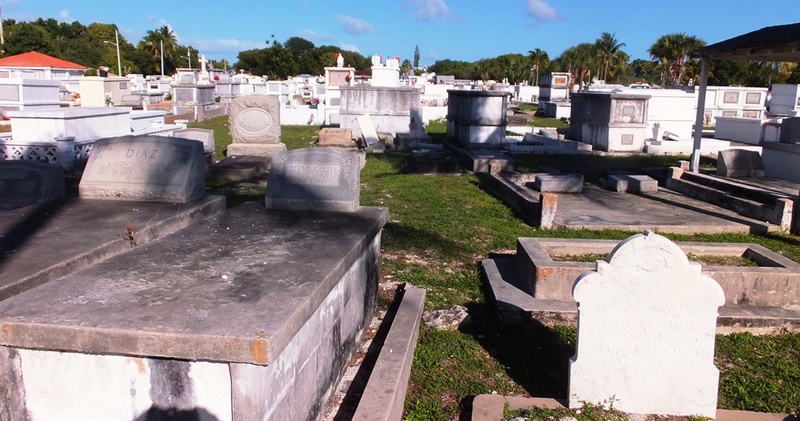 At this time the “rural” or “garden” cemetery movement was becoming very popular in America and city fathers opted for this new style of burial ground. Its signature features include considerable landscaping and park-like features. The English architect, Christopher Wren, was the first to advocate this design. In 1804 the first landscaped cemetery, Pere Lachaise, opened in Paris, France. As an aside, American rock star and member of The Doors, Jim Morrison, is interred there. 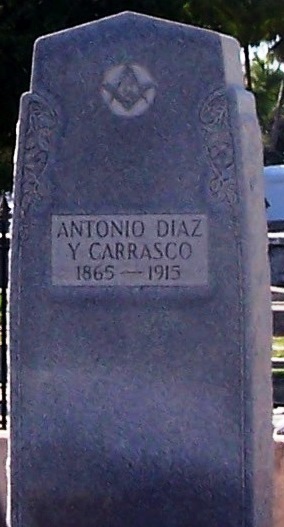 In the cemetery there are a wide variety of interments, monuments and headstones. Many of the tombs are above ground and resemble mini-condominiums. The reason for this has nothing to do with the water table but rather that the island is a coral atoll and digging into it is like excavating in concrete. 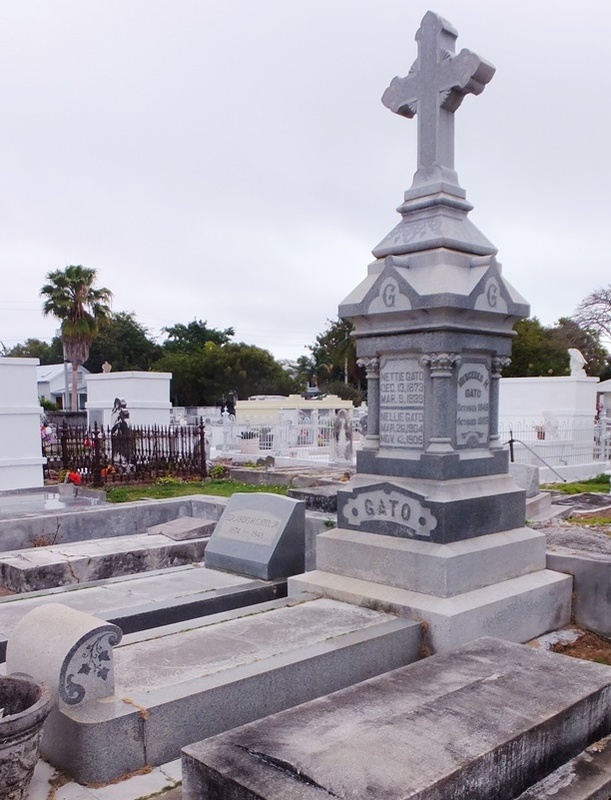 In addition there are mausoleums, zinc crosses, old iron fences, marble statuary and obelisks to mention a few. Some of the old water pumps that families used to water trees and plants are still visible. 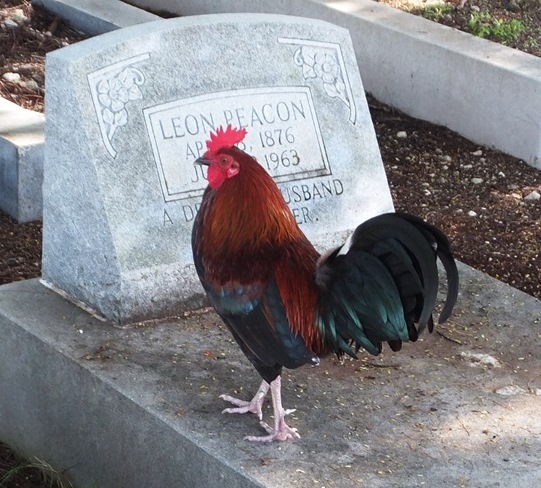 And there are plenty of iguanas and Key West’s famous wondering roosters. It is still an active cemetery with about 100 burials annually. 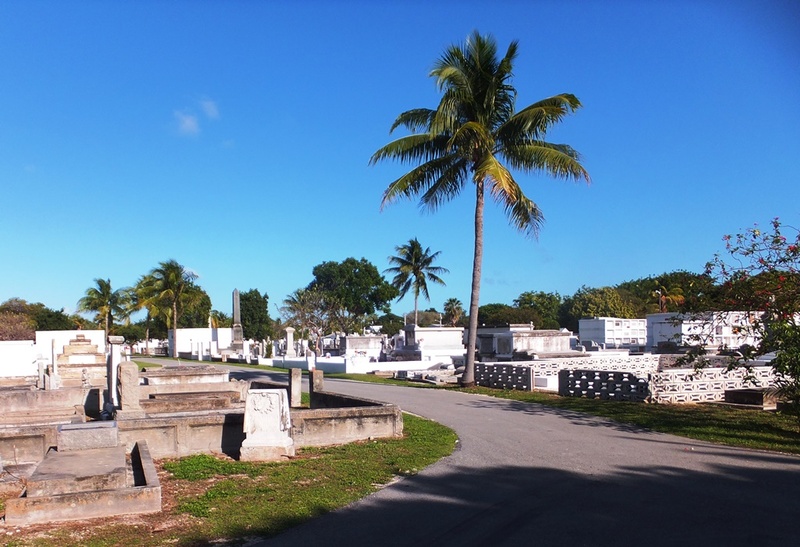 Located in the heart of Old Town Key West, this cemetery is the final resting place of some of the most interesting and quirky individuals we have come across in our historic cemetery research project. 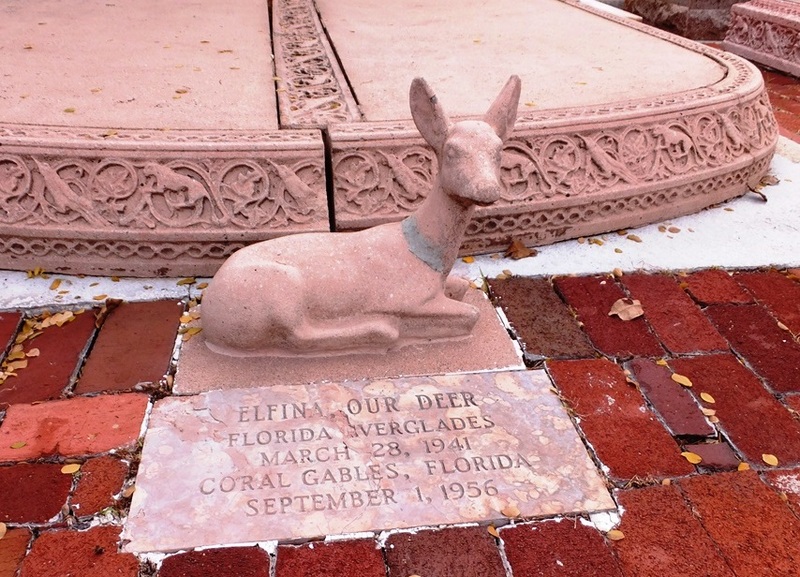 Interred here are soldiers, sailors, ship captains, fishing guides, bar owners, circus midgets, revolutionaries, politicians and, believe it or not, a family pet deer among others. 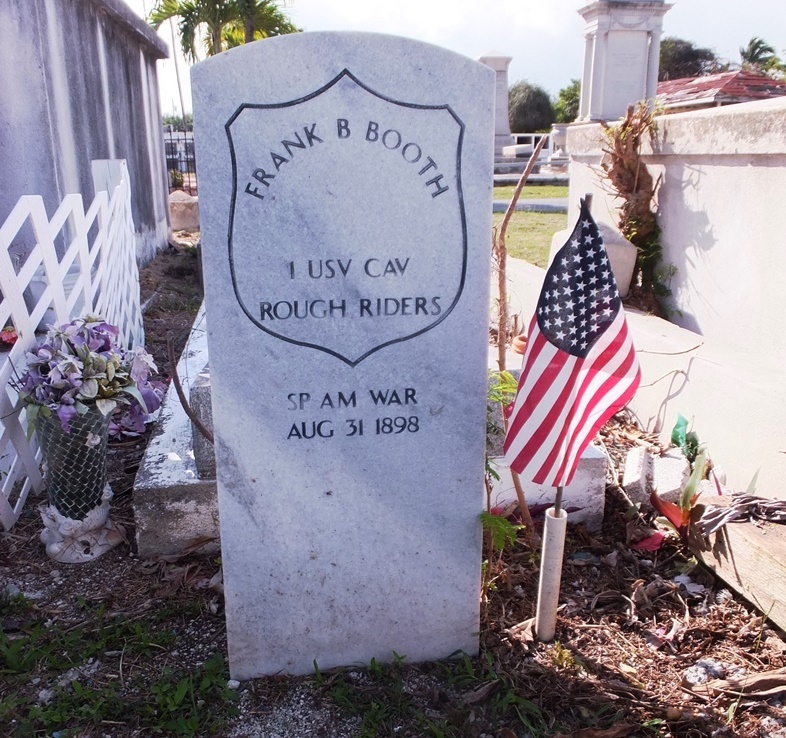 Adams, Frank E. (1859-1901) – Peace Officer – This native Floridian was a Deputy Sheriff for Monroe County (where Key West is located) who was shot and killed while trying to arrest Robert J. Frank for interfering in police matters. 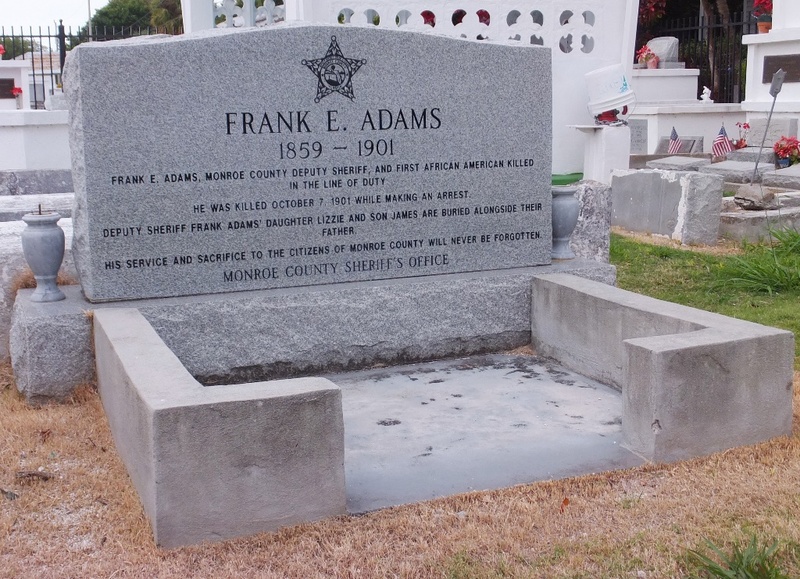 Adams was attempting to arrest Frank’s brother when shots were fired. The perpetrator escaped but was arrested the following day and identified as the shooter. Frank was convicted of murder and sentenced to life in prison. Adams was the first Black police officer killed in the line of duty in Florida. Adderley, George (1870-1959) – Real Estate Developer – Born in the Bahamas, he moved to Marathon, FL. on Knight’s Key and established a small town. Adderley had hoped to convince railroad baron Henry Flagler to make his town (now known as Cranes Point) a flag stop on the Overseas Railway between Miami and Key West. His home, Bahamian House, is on the U. S. National Register of Historic Places. Interesting note: Ayala’s grandmother wrote the Cuban National Anthem, El Himno de Bayamo, in 1868. 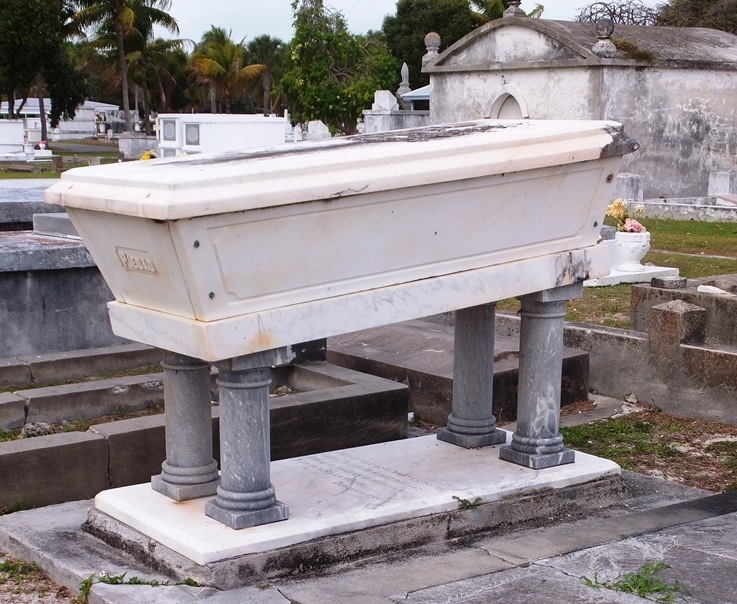 Bartlum, John (1814-1871) – Master Shipbuilder – Born in the Bahamas he immigrated to Key West in 1832 when he was 18 years old. 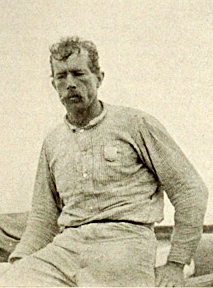 He was joined by his friend Richard T. “Tuggy” Roberts (1818-1888) – Ship Captain. 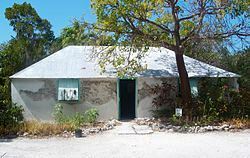 Both disassembled their Bahamian homes in Green Turtle Cay in 1847, transported them to Key West and rebuilt them on side-by-side lots. Bartlum’s home is a B & B today. In 1856 he built the clipper ship Stephen R. Mallory for the U. S. Navy. That vessel saw action on the Union side during the War Between the States. Bates, Gladys (?-?) 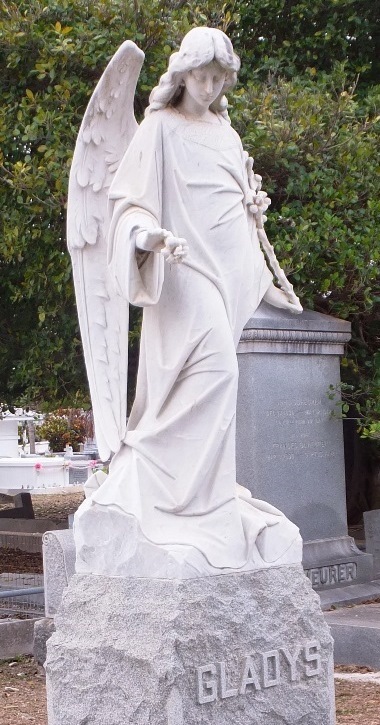 – Young Woman – The most impressive life size angel monument in the cemetery belongs to this teenager who died during an epidemic that struck Key West. There are no carvings on her stone so we know nothing else about her. 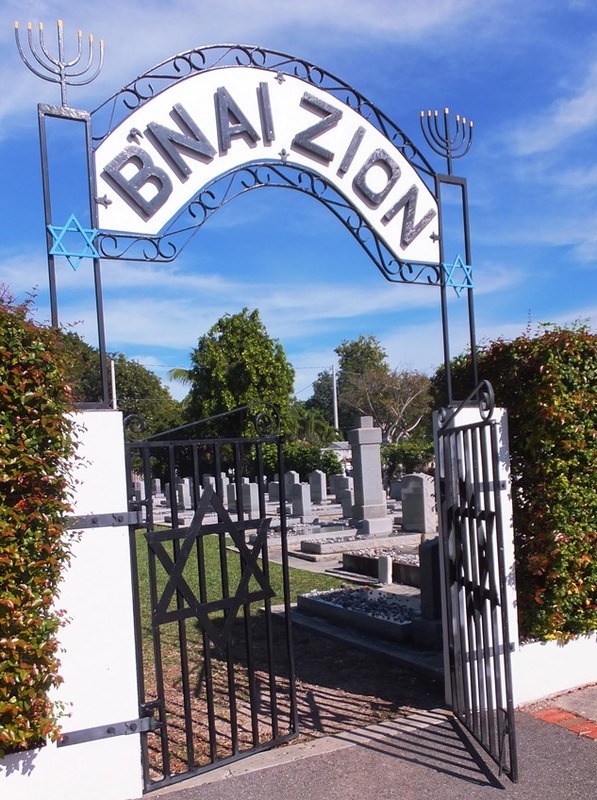 B’nai Zion Cemetery (Founded 1887) – Within the boundaries of Key West Cemetery is this separate Jewish section. The date of the first Jewish settler’s arrival on the island is unknown. However, it is certain that Jews lived here as early as 1832. Most of them came from Europe seeking a better life or, believe it or not, were shipwrecked here. In Key West anti-Semitism was not an issue. Congregation B’nai Zion was founded in 1887. The synagogue is located just a few blocks from the cemetery. Booth, Frank B. (1875-1898) – Roosevelt Rough Rider – At the start of the Spanish-American War (1898), a conflict with Spain fought in Cuba; the U. S. raised three volunteer brigades to fight the Spaniards. Only one, the 1st United States Volunteer Cavalry, saw action and this was the troop Booth joined. 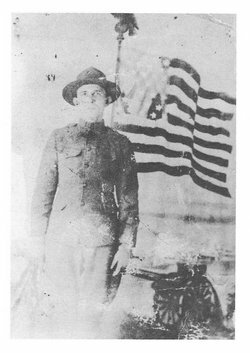 He served as a private in Company F. The cavalrymen were named Rough Riders by their leader Colonel Theodore Roosevelt. The future president took the name from his friend William “Buffalo Bill” Cody’s “Buffalo Bill’s Wild West and Congress of Rough Riders of the World.” Private Booth was wounded in action and died of complications while being treated in the Key West hospital. 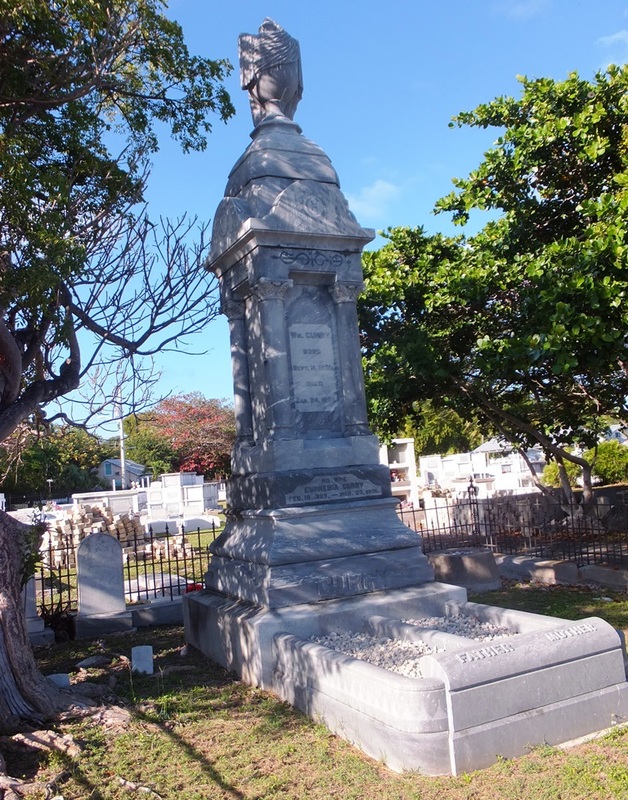 Cameron, Duncan (1810-1855) – Builder – This Scot, from Doune, immigrated to Key West in the early 1800s. Cameron is remembered as the construction supervisor of the 1847 lighthouse. It took about a year to build. When completed the new tower was 50 feet tall, had 13 lamps and a Fresnel lens. It was decommissioned in 1969 and is now the Key West Lighthouse and Keeper’s Quarters Museum. It is said that he was laid to rest among a hedge of purple bougainvillea. Captain Outrageous aka Norm Taylor (1940- 2007) – Folk Artist – He was a character among an island full of characters. The Captain fled the financial world sometime in the mid-1970s. It wasn’t long before he began painting everything in sight: motorbikes, recreational vehicles, automobiles, vans, trailers, mobile homes, musical instruments, furniture, telephones and bikes to mention just a few. He opened a hamburger join, The Last Straw. Locals say the food was wretched but they loved the art work. It eventually closed. In the 1990s the Captain opened an art gallery that proved successful. Following his demise his widow, Lady Outrageous, had the Captain cremated and gave his ashes to friends in small, hand painted salt shakes. 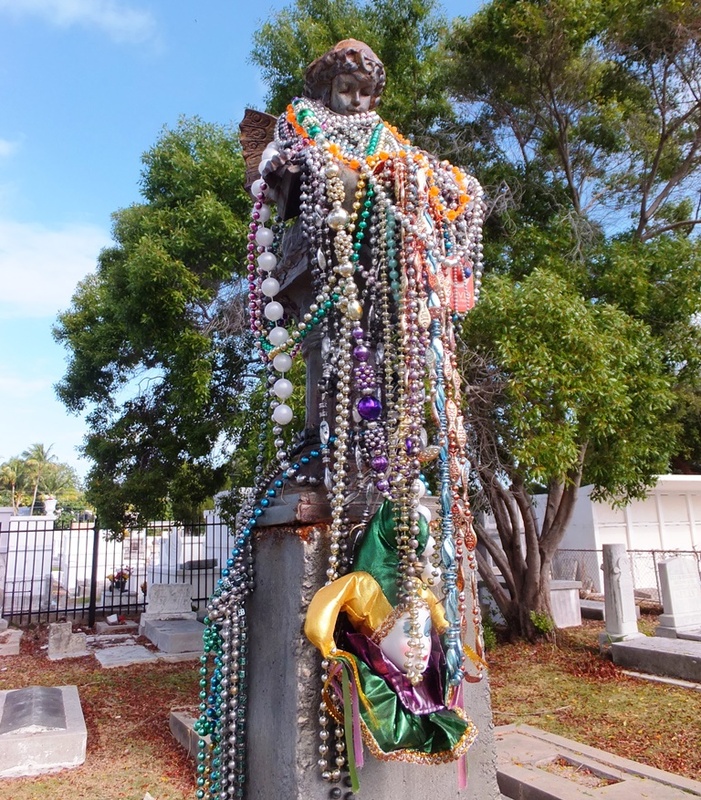 His last words were reported as “Life’s journey is not to arrive at the grave in a well-preserved body but rather to skid in sideways, totally worn out, shouting ‘HOLY S..T WHAT A RIDE!’” Outrageous’ grave marker is covered in Mardi Gras beads. 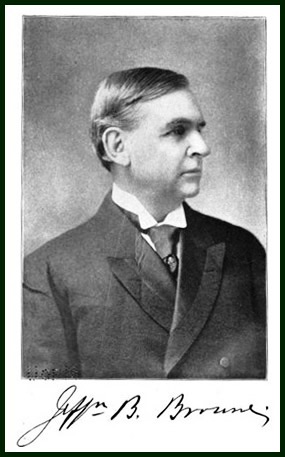 Henry W. Carey (1877-1933) – Woodmen of the World – All we know about Carey is that he was a member of Woodmen of the World. If you are interested in learning about this organization please visit this link on our website. 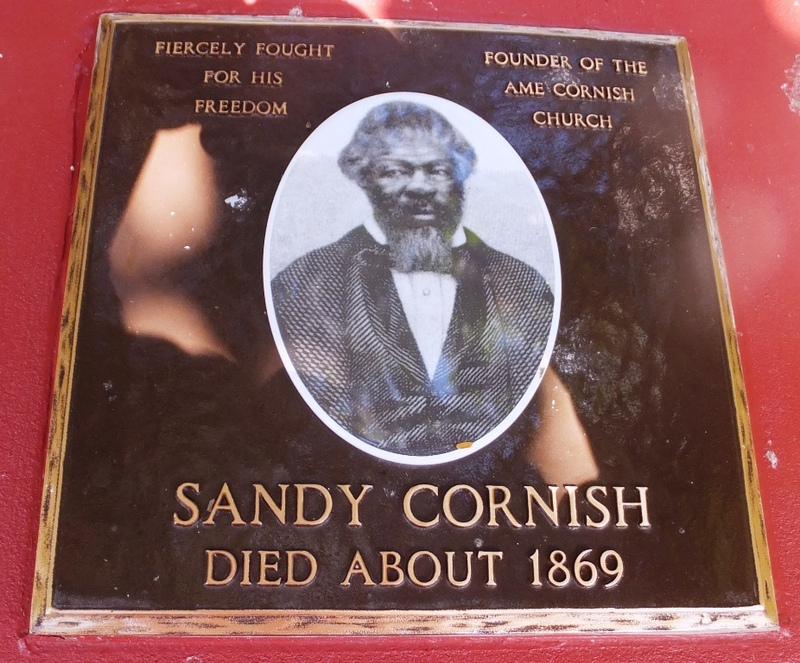 Cornish, Sandy (1793 ca.- 1869) – Freed Slave & Minister – He was born a slave in Maryland and eventually ended up in Florida with his wife Lillah. Cornish worked on the construction of a railroad at Port Leon, FL for nine years, earning $600 with which he purchased freedom for himself and Lillah. Unfortunately a house fire broke out in Port Leon and burned his freedom papers, his only proof that he was a free man. This resulted in him being seized by slave traders who wanted to take him to the slave market in New Orleans. Cornish managed to escape. The following day Lillah pushed him in a wheelbarrow to the docks where he pulled out a knife and hatchet and commenced to cut his Achilles tendons, slash a 10-inch gash in his leg and cut off a finger thus rendering him unable to work as a slave again. In 1850 they moved to Key West, purchased 20 acres of land and started an orchard. 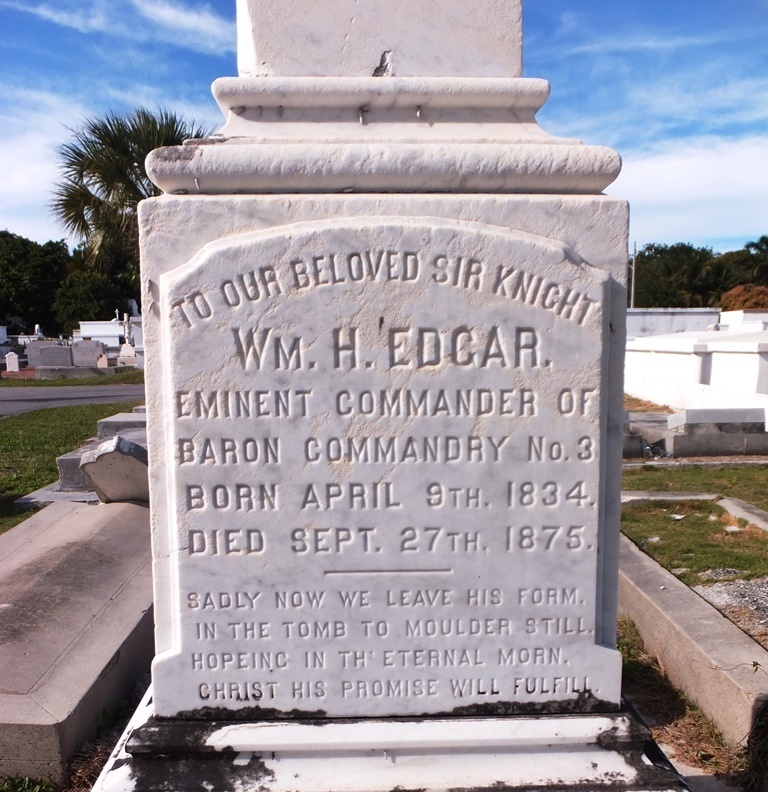 Cornish is buried in an unknown grave, however the Historic Florida Keys Foundation dedicated a memorial plaque in his honor. 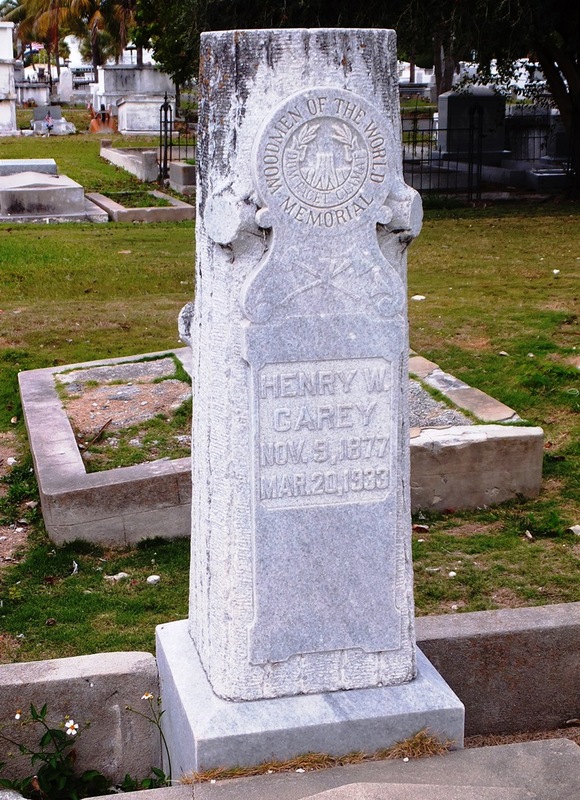 Curry, William (1821-1896) – Maritime Salvager – A native Bahamian, he immigrated to Key West in 1837. Curry worked as a clerk in a mercantile business then a quartermaster and fought in the Seminole War (1835-42.) He returned to the mercantile business but soon became involved in marine salvage and operated both businesses for more than 30 years. Gato, Mercedes H. (1846-1903) – Cigar Manufacturing Heiress – Her father was E.H. Gato, owner of the E. H. Gato Cigar Factory. The company was founded in 1871 and operated in a three story building. The first floor was for receiving tobacco and distribution of cigars. On the second floor were benches and tables where cigars were rolled. There was a raised lectern for a reader who was paid by the employees to read books, poetry and newspapers. (We witnessed this on our visit to a cigar factory in Havana a few years ago except the reader cited Communist propaganda.) Workers were paid based on how many cigars they rolled. A first class roller could produce as many as 300 cigars a day. In 1894 the factory employed 500 people who produced about 70,000 cigars per day. The third floor was where tobacco was stored and sorted. Gato cared very much for his workers and built 40 cottages around the factory for them to live in, built the first streetcar system, erected a hospital and started a baseball league for them. When Mercedes died, her home became a charity hospital at her request.